We had ALL NZ CABALLO, Maxwell and Dash at 7 months on show at the NI Stallion Show in 2013. Sport Horses of the highest quality are our aim, be it showjumpers, eventers or dressage horses. We base it on the Holsteiner horse, the best of the European warm bloods. Thus our aim in breeding is the improvement of the quality of sport horses in New Zealand so that we have horses for sale that can improve the standard of the equestrian competition in our country and allow New Zealanders to compete better on the international scene. To do this we believe that the best show jumpers in the world are Holsteiner horses. Holsteiners are also among the best dressage horses. The New Zealand thoroughbred has been bred for generations and is unmatched speed and endurance with no lack of agility and jumping ability. 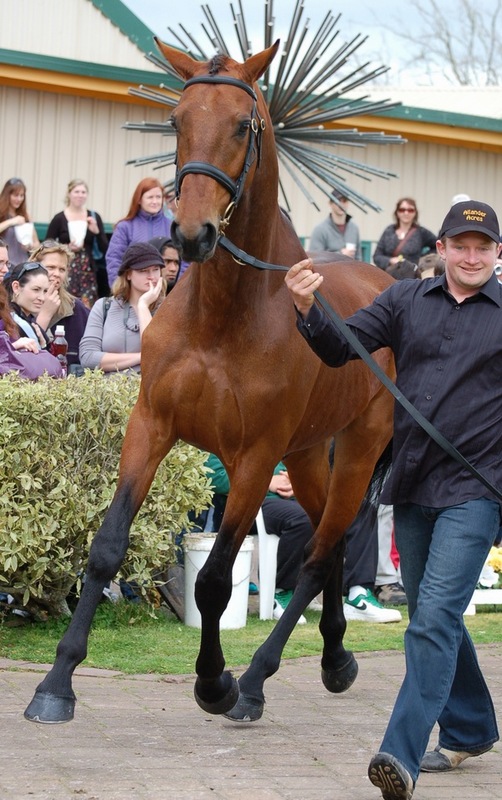 The thoroughbred horses that we use are from when the NZ thoroughbreds were at the height of their popularity, performance and success. We at Allander Acres believe that a blend of these two breeds makes the ideal sport horse for our New Zealand conditions and such horses would be extremely competitive internationally.